Drama unfolded in Maguria village, Embu North when police shot a man who was resisting arrest. He is a suspected bhang grower in the area and rioting youths pelted police with stones. In the mess that ensued, the locals injured two police officers. Other police had to fire in the air to disperse the rioting youth. 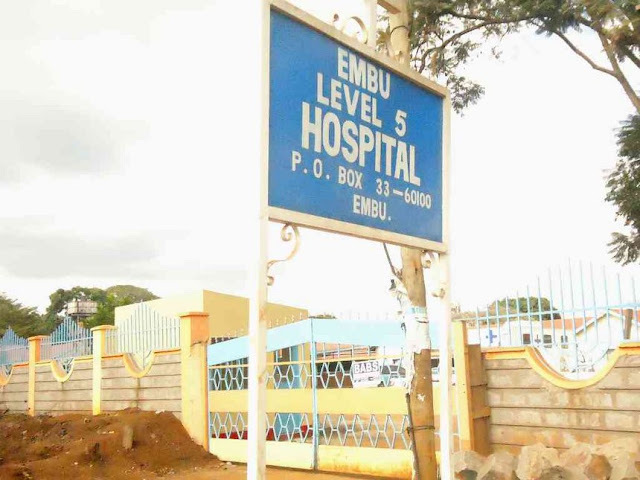 The man, 35, was taken to the Embu Level Five Hospital, where his condition stabilized. Two friends who helped him resist arrest were also taken to the police station. Eyewitnesses say that the man had received a tip that police were planning to raid his bhang farm near Babylon Holy Shrine. He sought for reinforcements from youth who travelled from Ruai. It was the youth who started the fracas hoping to scare the police away. Police confiscated bhang plants and launched further investigations into the incident. The security officers had a hard time trying to arrest the three men, who were armed with machetes and knives. They had to call for reinforcements. Late last year, a police sting operation nabbed an Embu politician Dennis Mbae Mutegi who they linked to the bhang trade.